As if Marvel Studios needed any assistance to garner attention and praise for their cinematic universe, now 18 films deep, they go out and put together their best cast and crew to date. Starting with a solid leading man with Chadwick Boseman, and introducing him in Captain America: Civil War, was a great start, but placing the sheer immeasurable talent around him almost insured that Black Panther was going to be successful. After the death of his father, T'Challa (Chadwick Boseman) returns home to the African nation of Wakanda to take his rightful place as king. When a powerful enemy suddenly reappears, T'Challa's mettle as king -- and as Black Panther -- gets tested when he's drawn into a conflict that puts the fate of Wakanda and the entire world at risk. Faced with treachery and danger, the young king must rally his allies and release the full power of Black Panther to defeat his foes and secure the safety of his people. First and foremost, the world building that is done with this film is astounding. Wakanda feels like a real place, with a rich history and tradition, that fits within the larger MCU without having to reference it. Second of all, every moment of this film draws you in further and further. The story touches on a lot of emotional moments that other superhero films couldn’t dream of, making it impossible to not soak in every iota of great material the film provides. Black Panther doesn’t follow the typical structure of an MCU film either. Yes, there is a final confrontation, as most climaxes go, but the path to get there is riddled with littles twists and turns that feel perfect for this film. Though the story enriches the environment, the true heart and soul of the film comes from some excellent performances and character work. There is not a weak link in sight as the stellar cast delivers one of most well-acted superhero films in existence. Chadwick Boseman is fully ingrained into the demeanor of T’Challa, though with plenty of room to grow and develop into the fully realized king he is meant to become. Michael B. Jordan absolutely dominates this film, drawing every bit of attention to the character of Killmonger, crafting an eloquent, interesting, and empathetic villain, the likes of which the Marvel Cinematic Universe has never seen. Not to be outdone though are Lupita Nyong'o and Danai Gurira. The two actresses fit right in as the strong and somewhat stubborn Nakia and Okoye respectively, filling roles as wonderful women of Wakanda as well as excellent foils to T’Challa’s usual confidence. Veterans like Forest Whitaker and Angela Bassett provides their moments, in limited roles, that give the whole film weight. But by far the biggest surprise is Letitia Wright, clear future star in the making as the immensely lovable and charming younger sister princess Shuri. Ryan Coogler deserves every ounce of praise one could provide. 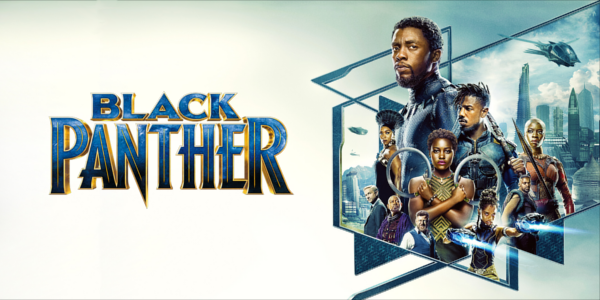 He delivers a film that explores deeper themes and emotions than few MCU films reach and does it all while creating this deeply realized world of Wakanda that you as the audience member immediately want to visit. It’s a challenge to not get swept up in the mesmerizing nature of the ritual combat pools, or the intensity of the one take sequence that’s very James Bond-esque. Most of that must be credited to recent Oscar nominee cinematographer Rachel Morrison, who provides the best-looking Marvel film to date. But the craftsmanship doesn’t end there. The score and soundtrack both fit seamlessly into the narrative and help shape this world, while the costume designs are off the charts and I’ll be shocked if we aren’t talking about them for the rest of the year. Overall, Black Panther is among the best of the best in the MCU. 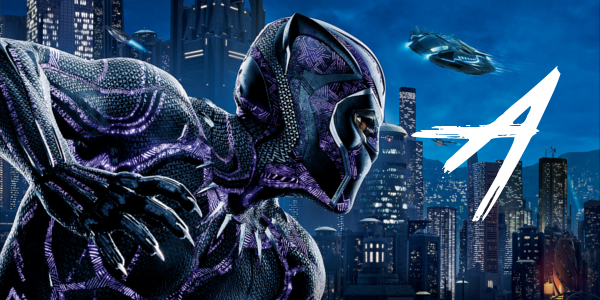 The talent from top to bottom shines in a film that not only expands the larger universe of the MCU but also creates this new and unique world of Wakanda that audiences will be itching to visit again and again. It’s quite possibly the best-looking Marvel film as well, from the award worthy costume design, to the expert production design and the gorgeous cinematography from Rachel Morrison. Very few films make me want to view them immediately after viewing them, but Black Panther is one of them, if only to visit Wakanda once more and admire every stroke of genius behind it.